You’ll be taught by a team of internationally respected development economists with a vast amount of experience in the field. Specifically, the use of experimental and behavioural economics puts this group in the forefront of innovative development research internationally – and you’ll benefit from their learnings. The programme applies rigorous economic analyses to real-world problems, like poverty and underdevelopment, to identify effective policies. International development organisations and agencies (for example, the World Bank, IMF, DFID, Oxfam, Action Aid, WIDER) increasingly recognise the need for these skills and this programme provides a sound foundation in contemporary development economics. It’s unique because it integrates methods, research findings and new insights from behavioural and experimental economics. Compared to traditional development economics courses you’ll acquire more subtle understanding of development processes and more realistic policy analyses. It provides strong links with the MSc in Impact Evaluation taught within the same School; its two core modules may both be taken as optional modules if you wish to do so. You can also take up to two out of your six taught modules from a long list of modules taught by political scientists, anthropologists, specialists on natural resource, gender, and education. This degree provides excellent employability prospects, with graduates employed in both development and non-development organisations, including international organisations, academia, NGOs, government ministries and the private sector. It also provides solid grounding if you’d like to pursue a PhD in development. 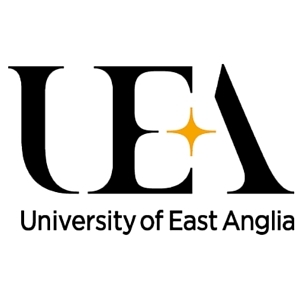 Visit the MSc Development Economics page on the University of East Anglia website for more details!